Life is full of ups and downs. That is one of the few inescapable facts of life. But it isn’t the highs and lows that really define us in the end, it’s how we choose to react to them and what we decide to do next. This month’s inspiring woman, Business Mentor and Digital Strategist Gemma Went, is the perfect example of someone who chose to respond with beauty and passion to this rollercoaster we call life. It really is amazing. I think it’s fair to say that many of us in that situation (and having personally experienced this exact scenario at 23) might choose to simply crawl under the duvet and consider not coming out again! Gemma’s solution? Strike out on her own and launch her own business. ‘First get really clear on what lights you up and what you want this business to do for you, because when you have that kind of clarity and alignment, it’s easy. If you’re forcing yourself to do anything, or are not sure, the it makes it hard to be successful in that business. So finding that clarity and what really lights you up first is really important. 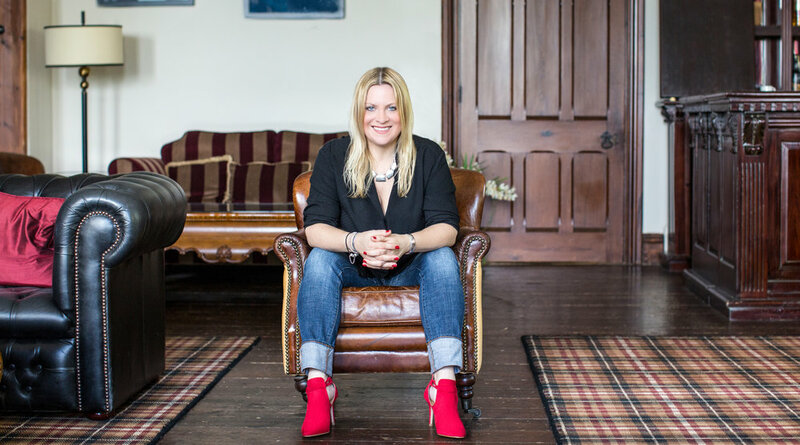 I highly recommend checking out Gemma’s website as it is a hugely valuable business resource with lots of inspiring and informative articles, plus ways you can work with her. You can listen to her brilliant Podcast ‘The Simply Smart Business Show’ here, and connect with her over on Facebook too.